June 23, 2014 Multichannel Retailer HSN and Total Beauty Announce Fourth Partnership The fourth collaboration between the two brands launches June 23 on HSN.com and will be featured during HSN's 24-hour beauty event on July 2. February 14, 2014 Voting Opens for the 2014 TotalBeauty.com Awards TotalBeauty.com announces the nominees for the 5th Annual TotalBeauty.com Awards in two main categories -- Reader's Choice and Editor's Picks. October 18, 2013 Total Beauty Media Group and HSN Partner on a New, Exclusive Beauty Collection of Best-Selling Products TotalBeauty.com has teamed up with multi-channel retailer HSN again on an all-new sampling collection packed with the latest, best-selling beauty products. July 03, 2013 TotalBeauty.com Makes Marie Claire's Most Wanted List TotalBeauty.com announces its nomination for Marie Claire's annual Most-Wanted Beauty Awards list. 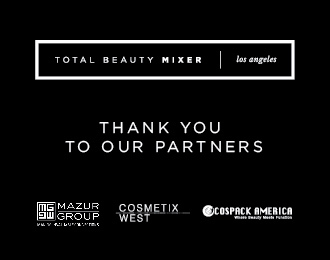 June 24, 2013 A letter from CEO Emrah Kovacoglu Emrah Kovacoglu shares the latest from Total Beauty Media Group including insights into the improved capabilities of TotalBeauty.com. May 22, 2013 Total Beauty Gets a New Look and Embarks on New Content Strategy Total Beauty Media Group announces a new design for their flagship website, TotalBeauty.com. May 22, 2013 Total Beauty Media, Inc Named as Finalist for 2013 Red Herring Top 100 North America Award Total Beauty Media, Inc. announced today it had been selected as Red Herring's Top 100 North America award, a prestigious list honoring the year's most promising private technology ventures from the North American business region. April 18, 2013 Total Beauty Media Group Partners With Identipak, ACCU Bio-Chem Laboratories And Mazur Group For 2013 Digital Salon Series Total Beauty Media Group, together with our partners, brings together representatives from across the beauty industry for a series of networking events.